Your Kesher Program fee supports these programs. 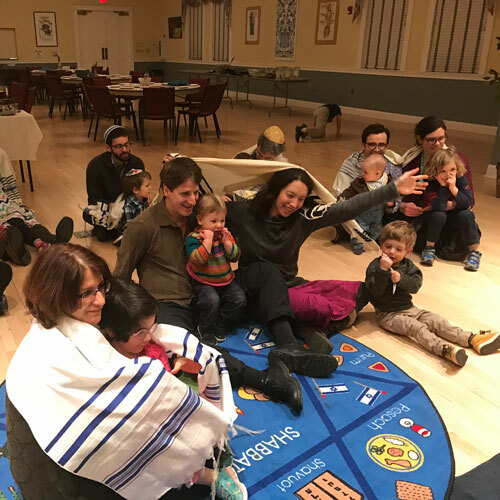 The role of family in each child’s Jewish experience is a critical component of our Kesher Program. There are many opportunities throughout the year for parents and extended family to engage in learning alongside their children and to join us in community celebration and prayer. 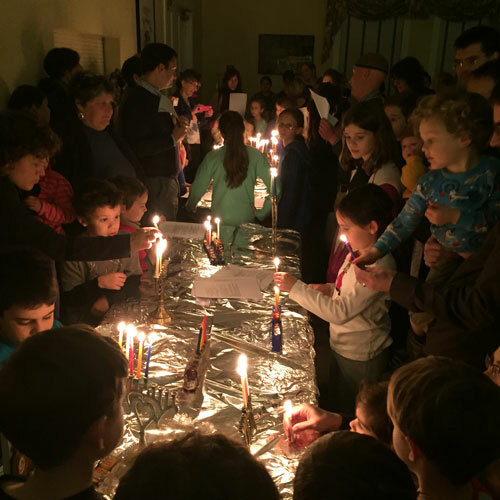 Experience Shabbat and the holidays in a warm and welcoming community. Parent/Guardian attendance is either required or strongly encouraged for these events. Join us once a month as we welcome Shabbat with Felicia Sloin. Enjoy music, blessings, stories, puppets, and more followed by a delicious meal. This monthly event is appropriate for all ages – from tots to grandparents. All community members, friends, and families are invited! Parent/Guardian attendance is required. 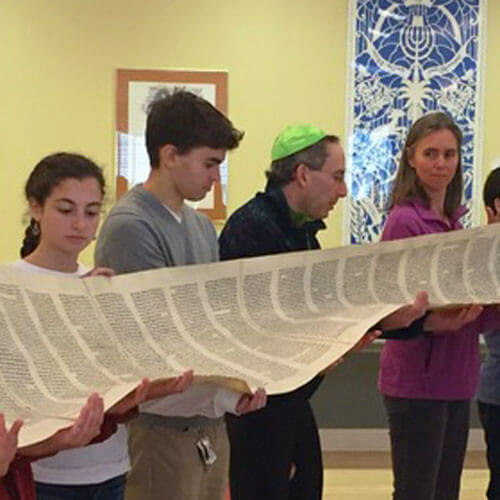 Once a month we come together as a school on Sunday at 10:00 am for Learner’s Minyan where we learn about and practice the basics of t’fillah (prayer) and perform the rituals of Havdalah. Parents/Guardians are strongly encouraged to attend with their children. Throughout the year, celebrations are held to mark the cycle of Jewish holidays. Activities for children of all ages and their parents can include crafts, cooking, celebratory meals, puppet shows and more. These celebrations take place on varied days, depending on how the holidays fall within the calendar that year. Parent/Guardian attendance is required.